President-Elect Donald Trump is facing intense scrutiny over his choice of former Breitbart president Steve Bannon, who is accused of fomenting white nationalist rage through his news site, for a top position within his administration. Bannon was the chairman of Trump's presidential campaign since the summer, and following the election, Trump said that he would serve as his "senior counselor" and "chief strategist." What does a senior counselor to the president do? What will Bannon's responsibilities be? The answer isn't very clear-cut. What senior counselors have done, and whether they have even existed, has been left up to individual presidents. For example, during George W. Bush's administration, his senior counselor's role was largely confined to communications — media and speech writing. Obama's counselor, Pete Rouse, was tasked with working as an assistant to the chief of staff, helping to manage everyone from the White House staff to policy advisers. Given Bannon's media background, especially in producing content that he himself described as "alt-right," it wouldn't be surprising if Trump relied on Bannon to keep his far-right socially conservative base mobilized. The addition of the title "chief strategist" also suggests that communications and messaging would be Bannon's territory. But we also have reason to believe Bannon will be given influence over policy goal-setting. 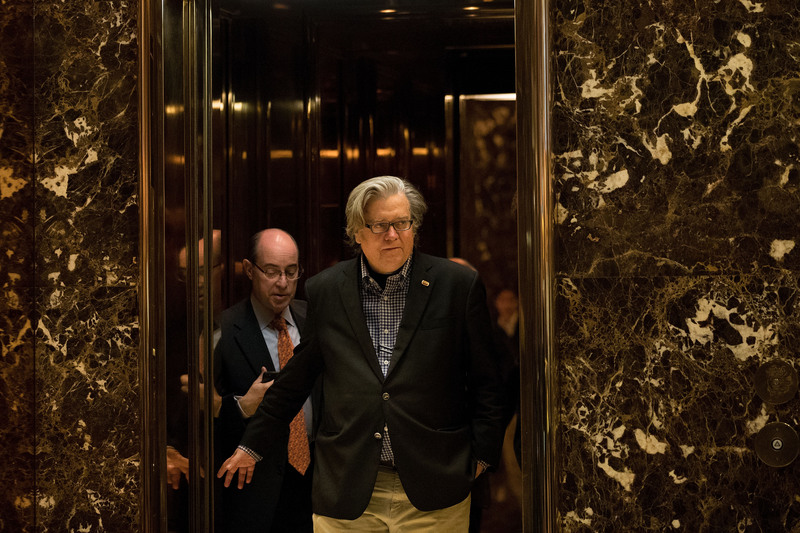 That Bannon's role will go beyond communications is made more likely by the fact that Trump announced his appointment along with that of Republican National Committee Chair Reince Priebus to the position of chief of staff, and said that Priebus and Bannon would be "equals" in his administration. Usually, chief of staff is the most powerful position in the president's cabinet. All advisers, including the senior counselor, along with White House staffers, report to that person, who serves as supervisor of staff and coordinates everyone around getting the president's policy goals enacted. But Bannon will report to Trump, as Priebus will. Priebus and Bannon are an odd pairing, to say the least. Priebus is focused on traditional conservative fiscal policy, and is a longtime figure in the political world — the "swamp" Trump promised to drain. Bannon is, like Trump, a say-anything "outsider" with similar views on immigration that appeal to nationalists. It appears that Trump is trying to appease both the GOP establishment and his fringe voter base. But doing so by putting such ideologically different staffers together at the top of the Cabinet is a risky move. The two men will be pulling Trump in different directions, and it remains to be seen what policy matters they could actually agree on.